Cricket Depth: Why are there not more All-rounders in Test cricket? Why are there not more All-rounders in Test cricket? International cricket gives an opportunity for the best players to showcase their abilities and represent their countries in all formats of the game. However why is it now that there is a lack of out and out all rounders that are able to pose a genuine threat with both bat and ball? In youth cricket you are usually taught the basics of both arts however when put into a match situation when the hard ball is introduced in under 11s to 13s cricket children are usually only allowed to either bat OR bowl. Surely this means that kids aren’t able to practice both skills which could be a major factor in the lack of all rounders. If children are categorised as a batsmen or a bowler from a young age then there will obviously be less people who are genuinely as good at both skills. There are obviously exceptions with many being able to practice both and those who are recognised from a early age are picked up by counties and given the opportunity to improve at batting and bowling. It just seems though if coaches encouraged kids to do both and not just one aspect of the game, then we would have more skilled all rounders to choose from for both counties and the international team. So what defines an all rounder? 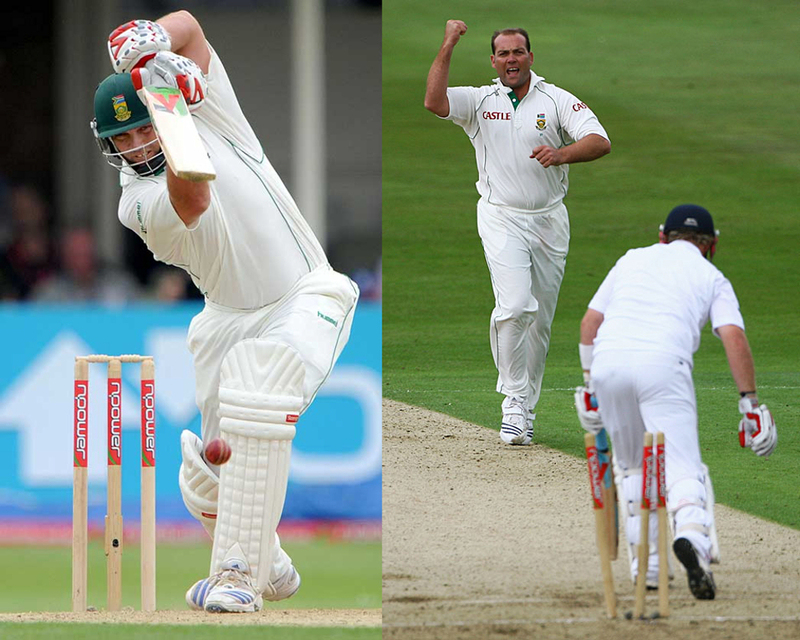 Usually it is said that an all rounders batting average must exceed his bowling average as shown with Botham(batting-33.54, bowling-28.40) and Kallis(batting-56, bowling- 32.45) but there aren’t too many around now that can say that accounts for them. It doesn’t need highlighting how important all rounders are to teams with obvious examples being the likes of Jacques Kallis and Andrew Flintoff but with Kallis nearing the end of his career and Fred already retired it seems that the future doesn’t seem full to the brim with exciting all rounders. But why is this though as if you have an all rounder that is able to bolster the middle order and bowl as well as the other bowlers, it gives the team the chance to have an extra batsmen or bowler as shown in the 2005 ashes series where England batted to 7 and had a 5 man attack with four seamers and a spinner. Fred was obviously also the talisman of the team and will go down as one of if not the best all rounder ever alongside Ian Botham arguably. There are a few prospects in the likes of Darren Sammy of the West Indies and Tim Bresnan and Stuart Broad of England however there isn’t much past that and they aren’t at the top of their game by a long way. In cricket now there tends to be bowlers who can hold a bat like Graham Swann which are nowhere near all rounder status. Although it could also be a case of coaches being more conservative in their selection with promising all rounders being batted at 8 or only used in short spells when bowling. This is obviously detracting from the amount of experience players are able to get and therefore it is no wonder there is no Botham-esque figure around anymore as it can’t be said that he was instantly the best in his field as he clearly needed experience to become one of the worlds best. Also as seen with Flintoff in his early years, players don’t always start out as an all rounder. It takes a captain who is able to persist with younger players and not just use them in bowling to bowl a few overs before the new ball comes for example. So it seems that unless you have a captain who is confident in you, there isn't much chance in you becoming and out and out all rounder. It can be said though that there won’t be a surge of all round talent coming through in the test game unless coaches are braver in their selection and allow all rounders to play a vital part in both sides of the game. I just hope that it doesn’t become a case of ‘either or’ as when an all rounder dominates a there isn’t much better a sight and if we’re not careful the likes of Botham, Kallis and Flintoff will just be figures of the past and not mirror images of players in the future. Copyright © 2012 Cricket Depth. All Rights Reserved. Awesome Inc. theme. Powered by Blogger.